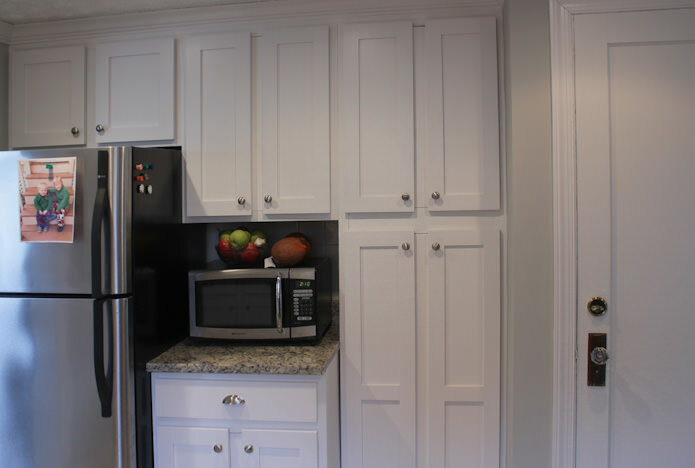 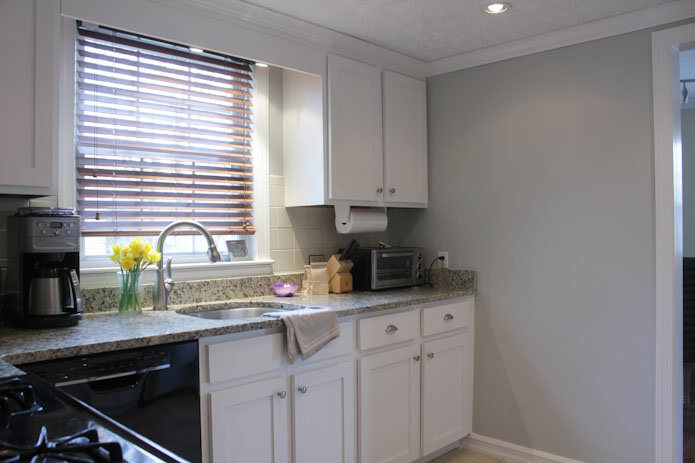 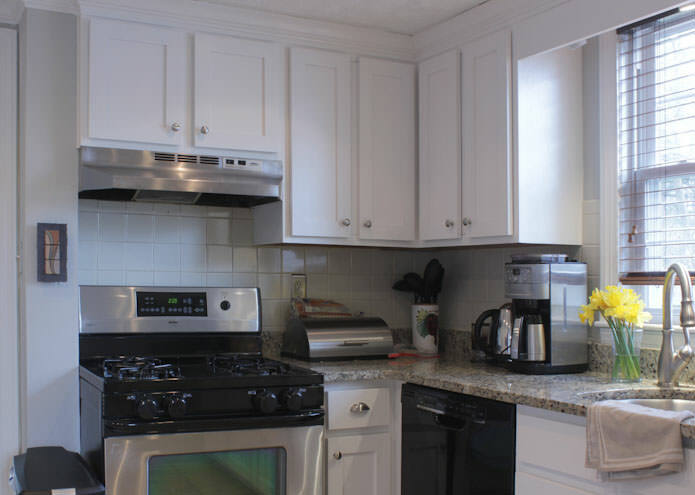 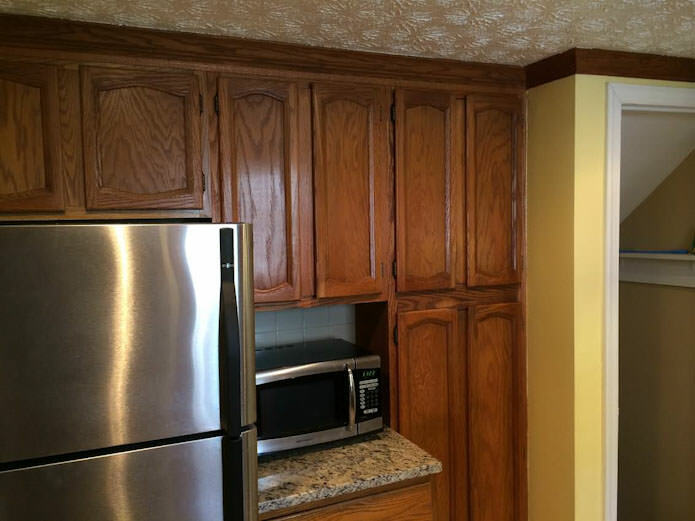 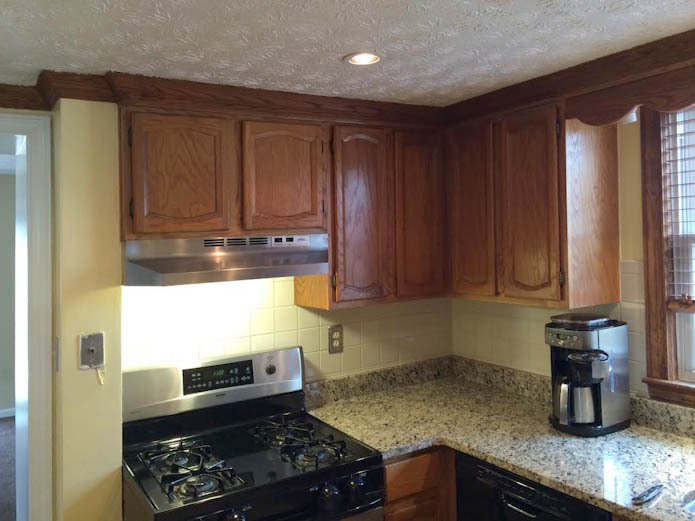 Very old and outdated, arched, flat panel oak cabinets refaced with new shaker doors, painted off white. 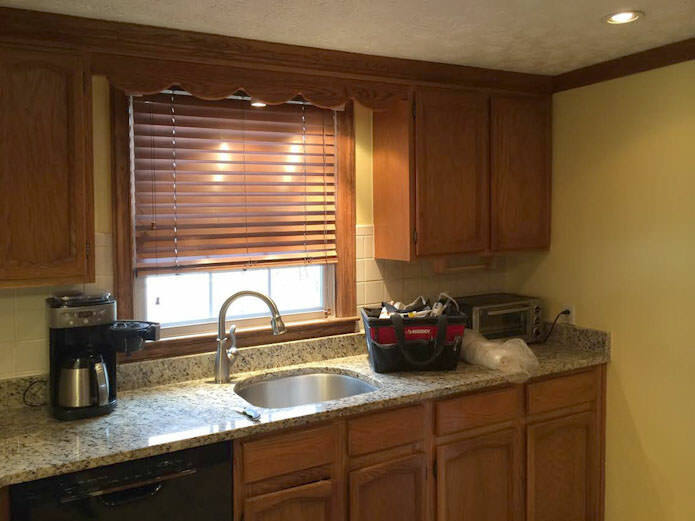 Outdated valance was also replaced with a modern, straight cut valance. 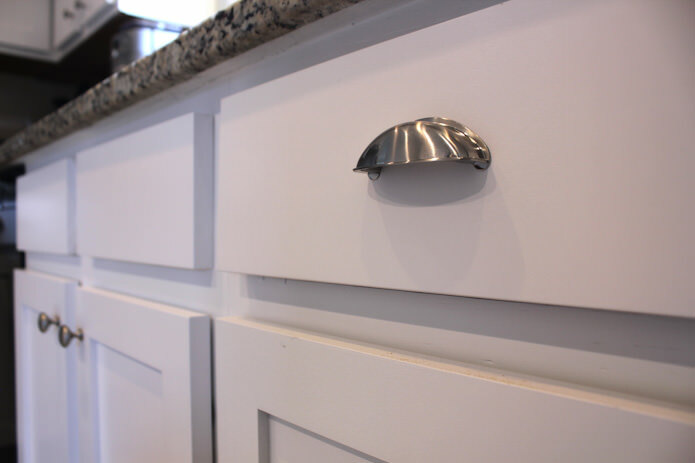 New, soft close hinges and simple knobs and cup pulls installed.